Quest for Inter-City train: Back in last August (has it really been almost a year?) I sourced some 45% of the 7740 Inter-City Passenger Train brand new from TLG’s online store. I have also made a few smaller BrickLink and parts kit acquisitions to help the cause – and dabbled with Power Functions too as an alternate means of power. As I reported yesterday, this summer I also bought some extra parts from LEGOLAND Billund’s LEGO Shop. Thus, so far I have a hodge-podge of new LEGO parts and some old, none of which are any use to me until I get some plates. 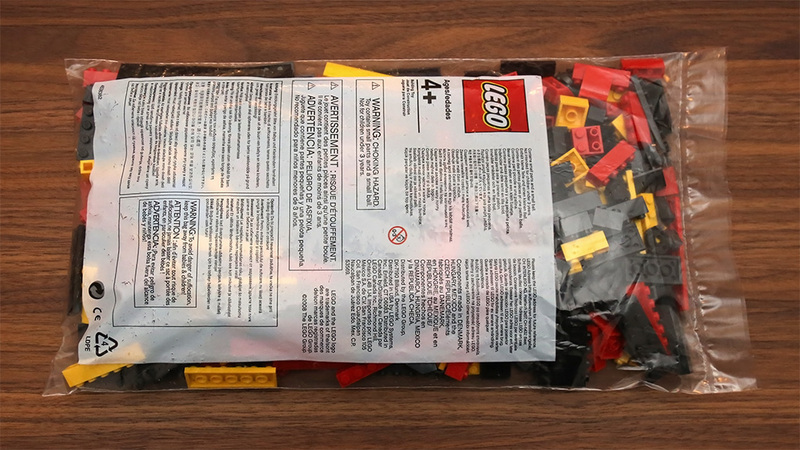 It has been interesting and helpful to learn which LEGO parts are still made and what has changed. The biggest issue after special train parts are the changed grey colors. Some of these new purchases may end up having very direct little help anyway, I haven’t been very organized about it all – after all, I’m really just beginning with this hobby. The main idea is to boost up my parts collection and the lessen the burden of the project, so that I don’t have to spend too much effort on mundane parts when the time comes. I also intend to use these parts for future projects, either by myself or with/for my son – we do a lot together too. So, it all goes into a bigger picture. I learned from the first quest the hard way how limited my childhood collection was. I need to build up my strength. Also, one of the most tedious aspects of my first quest was washing old parts, the new part acquisitions will lessen that. Finally, perhaps these new parts will also help to give the end-result a fresher look – or perhaps it will be a Frankensteinian monster, we shall see. In any case, not all parts can be sourced new. There are plenty of old colors and classic LEGO Trains pieces that are no longer manufactured. For those, my first stop will be going through my old LEGO collection (I’m still intent on re-using it through my quests and future projects) and where that fails, hitting BrickLink. Later on: Digging into the old collection. How much of the train I already have stashed away?